When it is time for a steak around here, we usually go for whatever cut is on sale at the butcher that day. A few weeks ago, rib steaks were on sale, so I picked up a few and ran home to prepare them for our dinner that evening. We like rib steaks around here because the fat to meat ratio is perfect and you have a bone to gnaw on at the end. You get a bit of crispy fat, tender beef, then you can go all Fred Flintstone on the bone. Perfect. I happened to have the smoker rolling that day and thought about smoking these steaks. While I like the taste of smoked beef, I feel the perfect steak needs to have some char on the outside. So, I struck a compromise. I seasoned, then smoked the steaks over some pecan. Then, I finished them up at the end using my new favorite grilling technique, the "Jet Engine" sear. 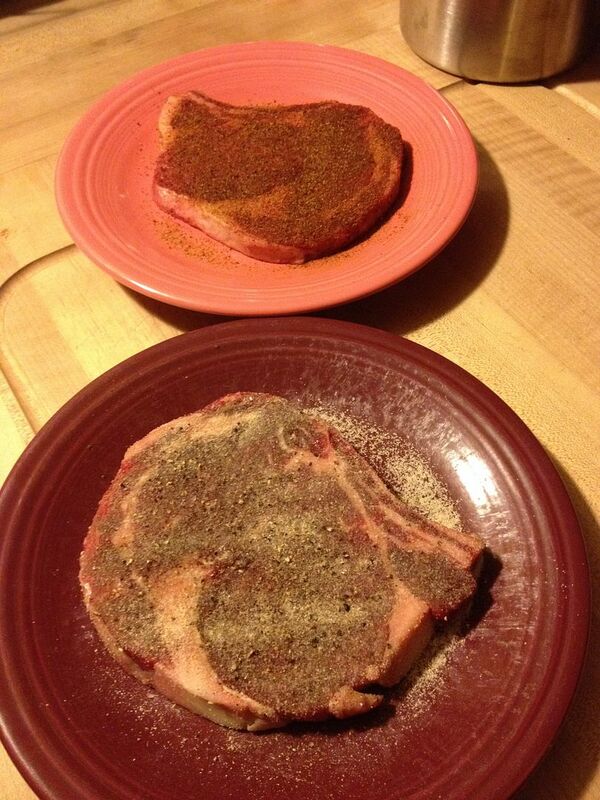 First, I seasoned our rib steaks. 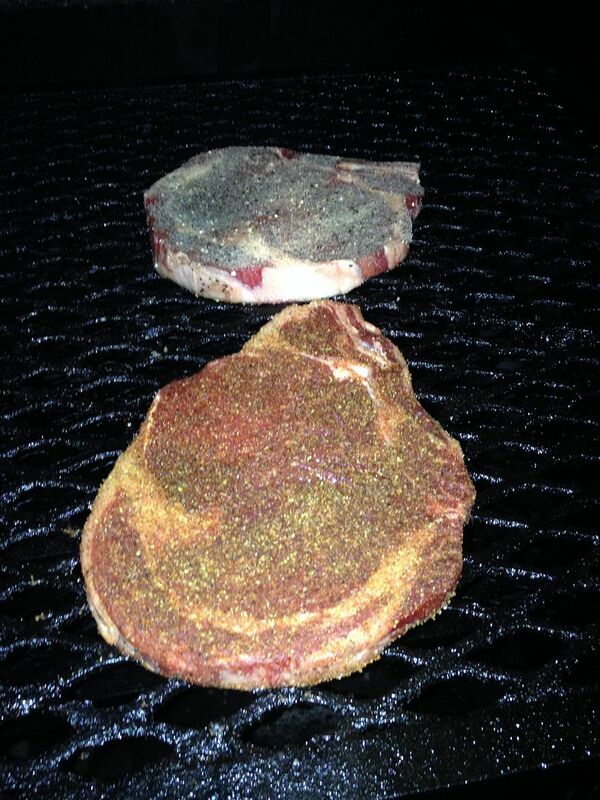 The one on the top is with Oakridge BBQ Black Ops brisket rub for me. The one on the bottom is standard salt, pepper, and granulated garlic for Hope. I let them sit on the counter, while seasoned, for an hour to come up to room temperature. 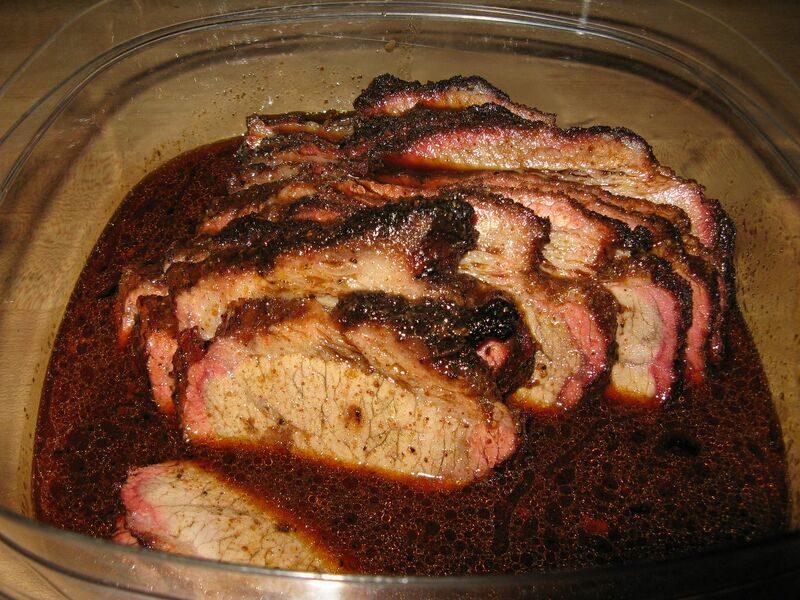 Then, I tossed them on my smoker, set for 250 F with pecan in the ash pan, for about 20 minutes to infuse some smoke flavor. 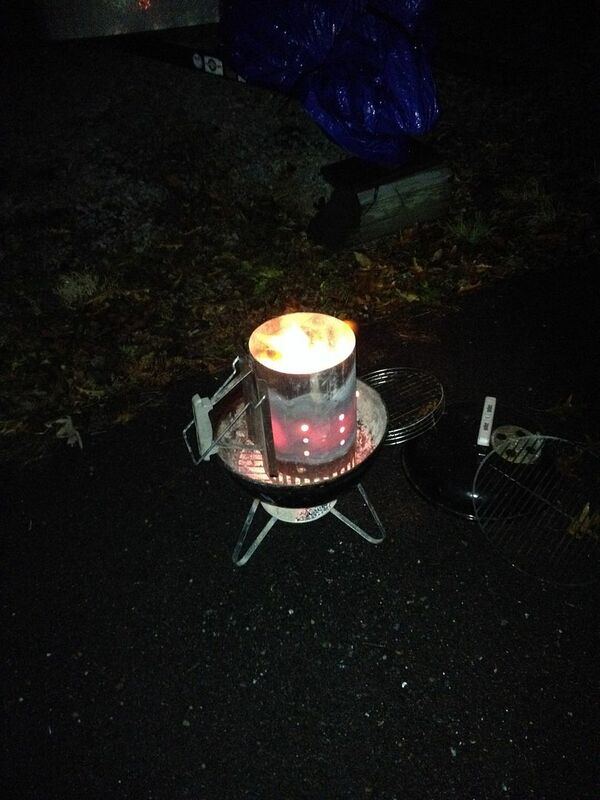 While the steaks were sitting in their smoky sauna, I fired up the "Jet Engine". Just to remind you, the Jet Engine method of grilling is to place a grill rack on top of a chimney full of lit charcoal. Think screaming hot broil from the bottom and not the top. 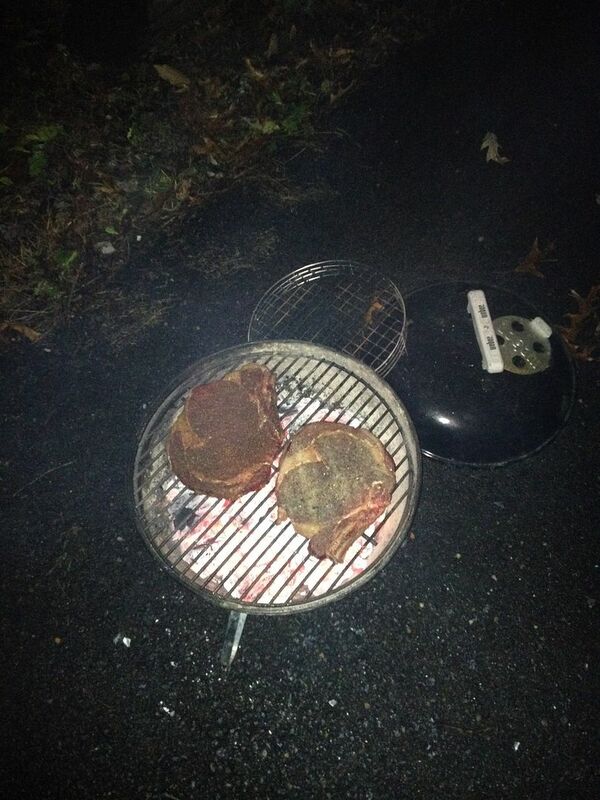 Once the fire was going, about 20 minutes later, it was time to pull the steaks off the smoker and get them seared. See that nice dark red color on the steak? 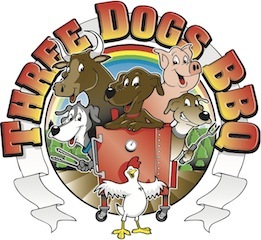 I knew they had picked up some nice smoky flavor just by seeing that. Then, onto the Jet Engine for some crispiness. Now, yes, they are a little overdone. 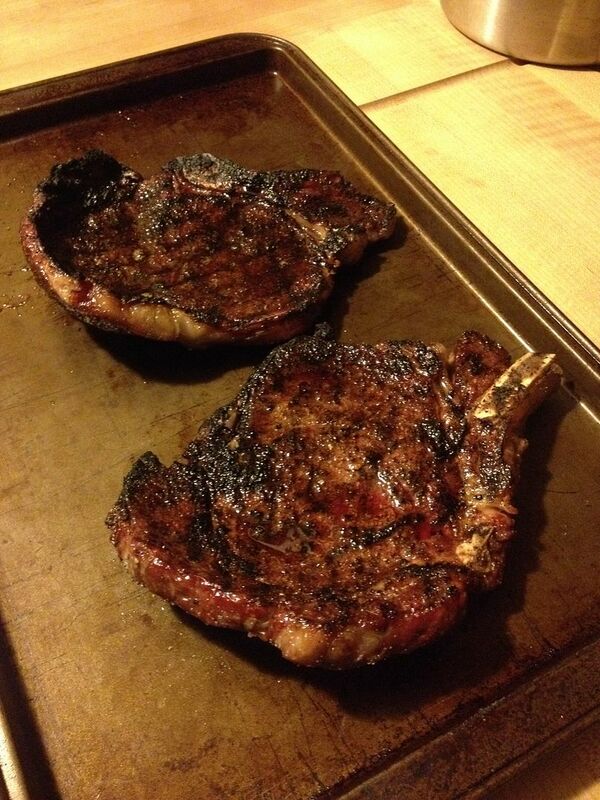 These rib steaks would fall into the medium well category. There is just a very thin vein of pink left. 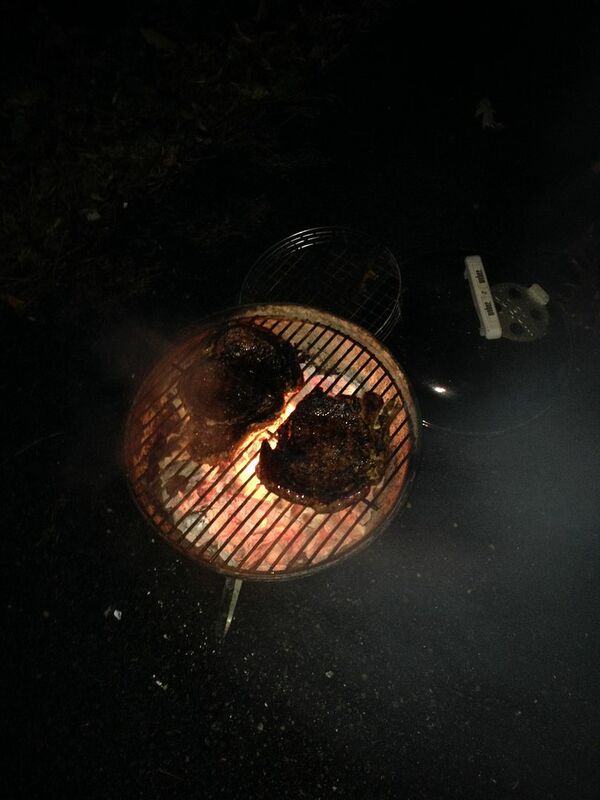 But, they were still tender and juicy with a perfect amount of char on the outside and smoke flavor on the inside. 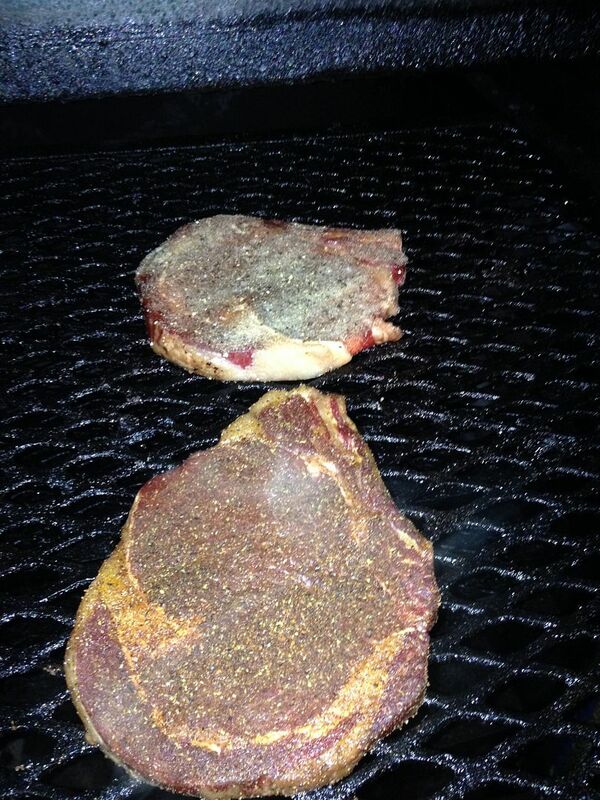 This was the first time I have tried a reverse sear on our steaks. I let them sit on the Jet Engine for about one and a half minutes a side. A bit too long as you can see. So, next time, I am going to cut that sear time back to 45 seconds a side and see how that works. Overall, this method works well. You get that smoky goodness that everyone loves with some steakhouse char. 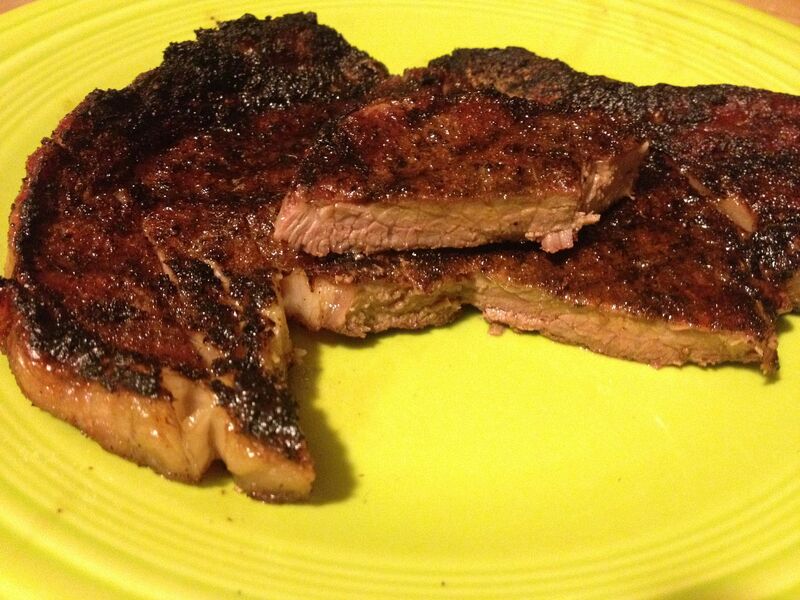 Also, if you haven't tried your brisket rub on a steak, you should give it a try. Very good. We will be doing this again in the future for sure. That is an interesting method. I have seen Alton Brown use this method. It probably would of worked better with some thicker steaks. 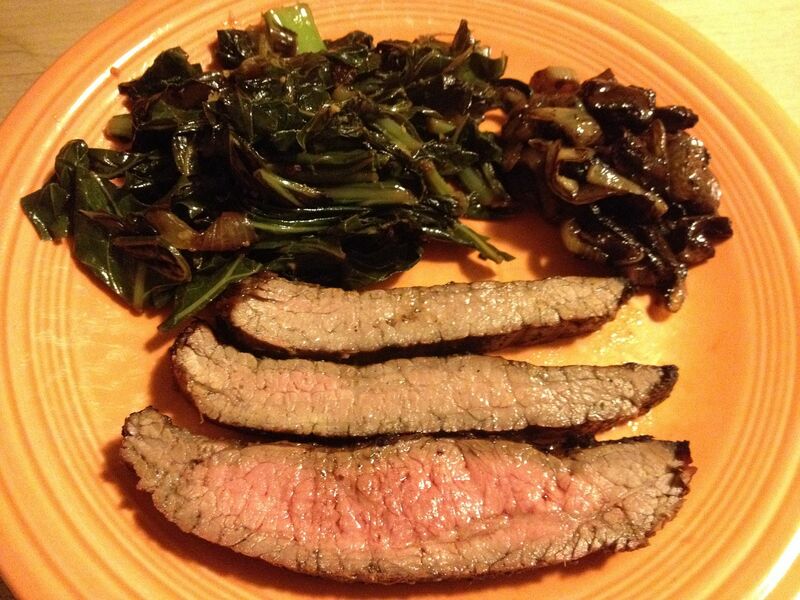 Going from medium rare to medium can take seconds and can be a costly mistake. It sure is fun and tasty striving for that perfect steak. Thicker cuts are better Chilebrown. I will have to try that next time.